The Newton MessagePad went from hero to zero overnight. September 4, 1997: The writing is on the wall for Apple’s Newton product line as Steve Jobs tells executives at the newly spun-off company not to bother moving into their new offices. It’s quite the turnaround for the Newton division. Only months earlier, it was being portrayed as large enough to become its own company. Apple launched the Newton personal digital assistant in 1993, during Jobs’ years outside the company. A device ahead of its time, it offered handwriting recognition and AI technology in a mobile form factor. At the time, even regular laptops remained uncommon. Unfortunately, early versions of the Newton failed to deliver the kind of results Apple hoped for, tarnishing the brand in the process. By the mid-1990s, though, Cupertino fixed many of the product line’s early teething problems. 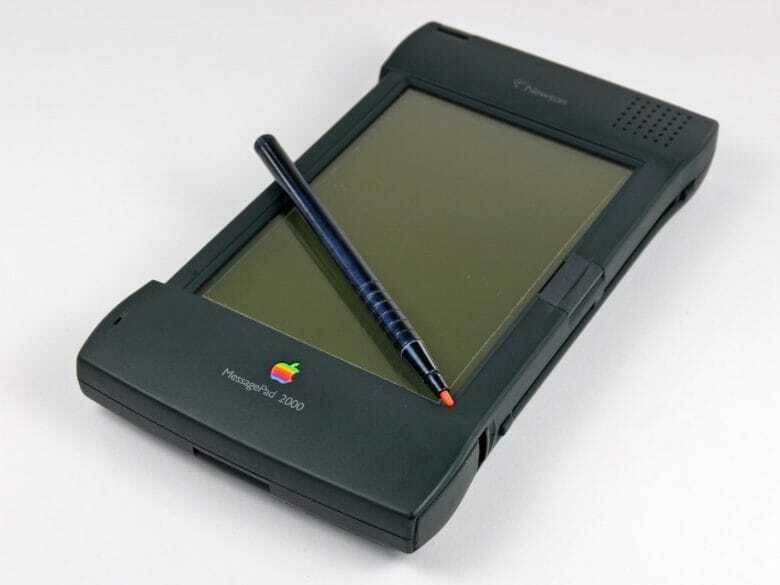 Devices like the Newton MessagePad 120 ran on the superior NewtonOS 2.0, which fixed many handwriting-recognition problems that plagued earlier models. March 1997’s MessagePad 2000 was the best Newton yet, and became both a commercial and critical success. In its aftermath, Apple laid out plans to make the Newton division its own company. Sandy Benett, former vice president of the Newton Systems Group, would lead it. On August 6, Bennett said Newton Inc. was “completely autonomous from Apple.” With its own separate board of directors and corporate logo, all it needed to take the final step was to find a CEO and move to new offices in Santa Clara, California. The remit of this new company was to sell the MessagePad 2000 PDA, as well as develop new technologies. Many hoped the spinoff would attract funding and go public within a couple years. Coming during the pre-2000 tech bubble, a big Newton IPO sounded like a massive positive — especially separated from the still-unprofitable Apple. That picture wasn’t exactly accurate, unfortunately. While the Newton seemed poised to cease losing money for Apple, nobody viewed the PDA as a long-term prospect. Former Apple CEO Gil Amelio tried to sell off the technology cheaply to everyone from Samsung to Sony during his tenure with the company. When everyone declined, Apple made the decision to spin off Newton as its own business. Some 130 Apple employees made the transition to the new company. Then Apple made a U-turn. The plot to make the Newton its own startup hatched under Amelio, and new CEO Jobs didn’t agree with it. With no personal attachment to the brand, Jobs saw no reason to expend staff on supporting a product that sold only 150,000 to 300,000 units during its 4.5 years on sale. Jobs was, however, interested in the eMate 300, another of the products to come out of the Newton line. This $800 PDA featured a built-in keyboard and a colorful, curvaceous clamshell design that prefigured Apple designer Jony Ive’s later iMac G3 and iBook. Aimed initially at the education market, it was one of the most unique-looking Apple products of its day. Early the following year, he abandoned the Newton MessagePad so Apple could focus on the Macintosh. Do you remember the Newton MessagePad? Leave your comments below.